At Ventura's Auto Body, our goal is always to make sure your vehicle stays on the road and out of the shop. Since 1997, we've been Lowell, MA's home for complete auto repairs and services. The dedicated team at Ventura’s Auto Body is ready to help with all of your vehicle’s needs. 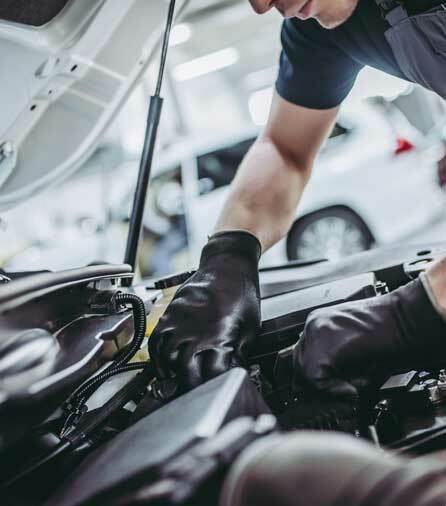 Whether you are prepared for a routine oil change, require brakes or alignment, or you aren’t sure why the “Check Engine” light has turned on, our skilled, Certified Technicians will diagnose the problem, and provide you with the most effective and efficient solution. Our Service Team Members are committed to upholding the very principles on which our company was founded: Honesty and Integrity. All of our Auto Services are available for all makes and models of both foreign and domestic vehicles. Are you unsure about your car's problems? Has that annoying "check engine" light turned on again? Bring your vehicle in to Ventura's Auto Body and we'll run a full computer diagnostic on it. Ask about our FREE multi-point inspection.